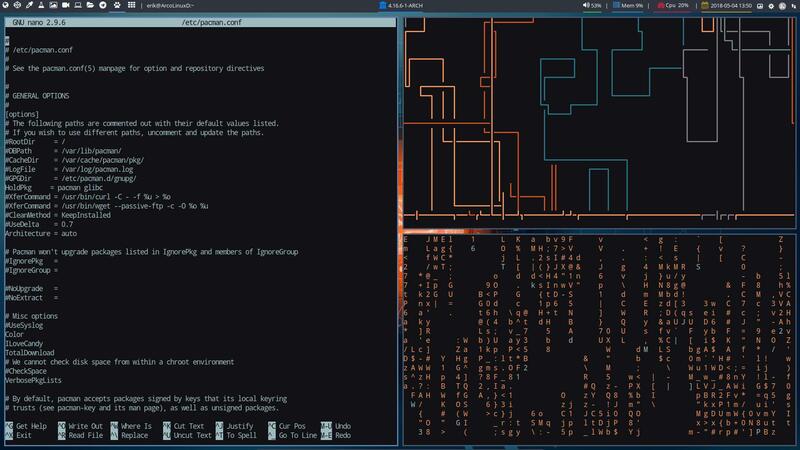 Python-pywal changes various applications like terminals, nano, bash-pipes, ranger, cava,… on the basis of the wallpaper and creates matching colorschemes. As of ArcoLinux 6.8.1 (June 2018) python-pywal will be installed on the iso. The command to launch is however “wal“.